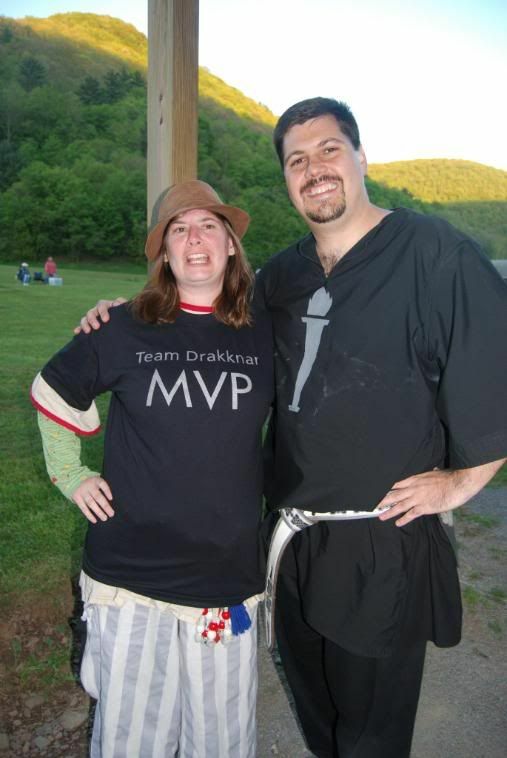 Seen her receiving her Team Drakknar MVP T-shirt from the man himself at Great Eastern 2008. Sir Liz is the first woman in the entire game of Amtgard to have held every kingdom level position. She found her twin in Shogun Jynx Mercades. A member of Umbra Victus. A member of House Blackband. First female Champion of Goldenvale Evar! This page was last modified on 19 June 2018, at 11:14.